A man hath no better thing under the sun, than to eat, and to drink, and to be merry. Forget about toasting with champagne on New Years Eve: grab a bottle of Prosecco instead. 2010 has been the year of Italian sparkling wine. For the first time, sales of bollicine (which means ‘bubbles’) are set to hit 380 million bottles, about 10 million more bottles than what is expected for sales of French Champagne. In terms of sales value, it is still French producers who are raking it in. A typical bottle of French Champagne costs more than twice as much as high-quality Spumante. But when looking at the number of bottles produced, it is Italian wine-makers who are finally coming out ahead. In general, Italian sparkling wine has a lower price point than French Champagne, which may account for its growing popularity during the economic crisis. 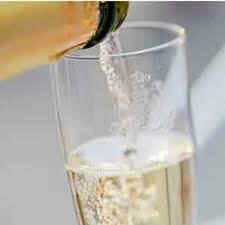 In the first 9 months of 2010, sales of spumante and prosecco were up 17% worldwide. Wherever you plan to ring in the New Year, let the bollicine flow. Buon anno!